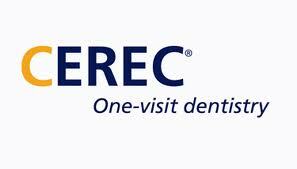 We provide comprehensive dental services. If you don’t find information you need, please feel free to call us. We’re happy to answer questions you may have and address all your needs. Patients with cracked, broken or missing teeth will find relief at West 9th Dental. We offer the following restorative dental services to correct damaged teeth and restore beautiful smiles. Dental implants serve as replacement roots for teeth that have been lost due to decay, gum disease or injury. The dental implant is surgically implanted by your dentist into the mouth where over time it will bond with the jaw bone, forming a strong foundation for an artificial tooth. In order to create a strong foundation for the replacement tooth, a titanium post is implanted into the bone socket. As the jawbone heals, over the course of 6-12 weeks, the new implant is fused in place, through a natural bonding process. Next, the dentist will take impressions of your teeth and create a model of your bite. Now an artificial tooth called a crown can be created and attached to the implant to create natural looking tooth, that functions just like a regular tooth. Dental implants are permanent and durable replacements for missing teeth. They look and feel and function just like natural teeth. Patients who opt for implants over dentures will enjoy improved oral health, improved speech and the ability to fully enjoy the foods they would with natural teeth. Dental implants have an extremely high success rate and when cared for properly, through regular brushing, flossing and dental checkups, can last a lifetime. Dental Crowns and Bridges are used to solve a number of oral health issues, including weak or broken teeth, discoloured teeth, misshapen teeth, or missing teeth. A crown is an artificial tooth, usually made from porcelain that can be placed overtop of a damaged tooth or in the case of missing teeth, a dental implant. Dental Bridges are typically used to cover gaps where one or more teeth are missing. In these cases, the bridge is cemented to the healthy teeth on either side of the empty space. Porcelain Crowns and Bridges are made to match the colour of the patient’s natural teeth and with proper care can last a lifetime. West 9th Dental offers comprehensive cosmetic dental treatments to give you the smile makeover you always dreamed of. Dr. Lisa Rai will work with you to craft a dental solution that addresses your unique needs. Dr. Rai has the experience and the comprehensive expertise in a wide variety of cosmetic dental treatments to deliver dramatic and lasting results. A smile design can involve one cosmetic dental treatment or many, depending on each patient’s situation. West 9th Dental’s modern techniques and treatment options include. Veneers are used to correct cracked, worn, broken or discoloured teeth, by covering problem teeth with a custom made porcelain covering. Dental veneers can also be used to correct uneven spacing or gaps between teeth. The dental veneer process is minimally invasive, typically involving only minor trimming and shaping of the natural tooth before permanently bonding the veneer to the surface of the tooth. Dental veneers look and feel like natural teeth and are very durable and stain resistant. They’re cared for just like natural teeth, with regular brushing and flossing. Laser teeth whitening is a professional in-office dental whitening process that can achieve dramatically whiter teeth in one hour or less. This simple process begins with the application of a whitening gel to the teeth. 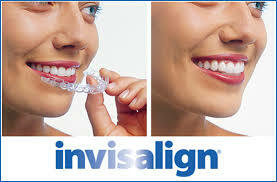 Next a laser light is directed towards the teeth to maximize the affects of the whitening product. This popular dental whitening procedure has been shown to be safe and effective, whitening teeth by up to 10 shades with one treatment. Some tooth sensitivity may occur after treatment, but this should dissipate after 24 – 48 hours. Botox has both practical and cosmetic applications in the dental office. Botox has been shown to aid in the treatment of dental conditions, such as, teeth grinding and Temporomandibular joint dysfunction (TMD). It can also be used to smooth facial lines and wrinkles or as part of an overall facial aesthetic / smile design program. Botox is a purified protein that is administered through small injections under the skin. These injections cause facial muscle to relax, aiding in therapeutic treatments and facilitating the smoothing of lines and wrinkles. Dr. Rai has taken extensive training in the administration of Botox treatments and as a dentist, she is highly trained in the musculature of the face and neck. A root canal becomes necessary when decay or infection reaches the pulp at the centre of the tooth. Once infected, the the tooth’s pulp and nerve must be removed and the tooth sealed in order to preserve the tooth. Root canal has a reputation for being painful, but the root canal procedure is usually no more painful than a conventional filling. In many cases a crown is required to protect the tooth after the root canal is complete. Preventative Dental Care helps to ensure the overall health of our patients and aims to preserve natural teeth, while preventing gum disease and other costly oral health problems. Our friendly hygienists and staff take pride in creating a welcoming and relaxing atmosphere for all your routine cleaning and examination appointments. Visiting a dentist has never been so pleasant. Dr. Rai and her team offer professional and thoughtful care. Gillian always offers a warm welcome and handles scheduling and billing effortlessly. The hygienists who saw me are incredibly kind and gentle. And Dr. Rai always took time to explain any issues that came up during a check-up; she was thoughtful about aligning treatments with my insurance and budget (especially important while I was studying); and she did a fantastic job making any procedures (root canal, fillings, etc.) painless. I couldn't recommend this group more. After having had a few bad experiences at past dentists, I’m so happy I discovered Dr. Rai ! She took the time to clearly explain all of my dental issues in a way no other dentist had before. I left the office feeling confident that I could trust her and her team. Extremely professional and kind. I would highly recommend Dr. Lisa Rai and her crew. I’ve been going to Dr. Rai since moving to Vancouver over 5 years ago. She is thoughtful and gentle. I sometimes get anxious when leaned back in the chair with the nasty rubber dam on and her soft voice and gentle treatment never fail to calm me. She is a treasure.